New to Dark Horizon? Read here for all the rules, guidelines, and things you need to know to become successful in the Savannah! Be sure to check back often to see if there are any new rules that you need to become aware of. Here you can see what the staff of Dark Horizon have to say. These could include updates to the site, or a contest that happens to be going on! Be sure to read these to stay up-to-date! New to Dark Horizon or taking a break? Post here so we can welcome you or see you on your ways. If you are leaving for a while you MUST post here so we can keep your ranking on your account. By following the template you can create your character the way you want it and finally take your place in the great Circle of Life. Want to have cubs and give others the opportunity to play as them? Be sure to post here using the form! The pitter-patter of paws will surely be amoung us! Here you can view the pride rosters and the history surrounding these prides. Use this information wisely as you venture throughout the Savannah. The Waterhole is the social meeting place for all animals in the Savannah. Check here before you create your character to see if there is a position you might want to fill. Who knows? You may just have found yourself a way to become king! The Pridelands are the most renowned and famous lands in all of the Savannah. Ruled by a king and queen, peace flows throughout the lands. Raising cubs here is a breeze and food is plentiful. Everyone shows compassion, bravery, and loyalty to the royal family; even putting their own lives on the line if necessary. 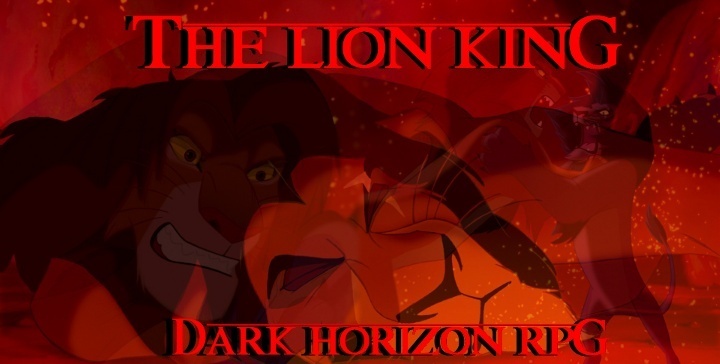 Although that's the general nature of the lands, Scar has thrust them to an alliance with the hyenas, and darkness is starting to spread. The Outlands is where the exiled lions of the lands -mostly the Pridelands- reside. The area has a desert-like terrain with small cliffs, trees, and few plants, and seemingly no fauna. The Outlands lie beyond the Pridelands and beyond the Elephant Graveyard. Although food is scarcer such as the Outlands, the Coldlands lie just beyond the outskirts of the Shadowlands (normally hidden by the darkness of the lands). Many a pride have lived here as evidence of caves and water sources are abundant. Although the snow here is normally limited to the mountain tops, keeping most of the cold away, it can and will snow around twenty times a year. Separating the Pridelands and the Coldlands lies a dark and mysterious place known as the Shadowlands. Mostly ravaged with bones of deceased animals and large geysers, many do not find this place appealing. 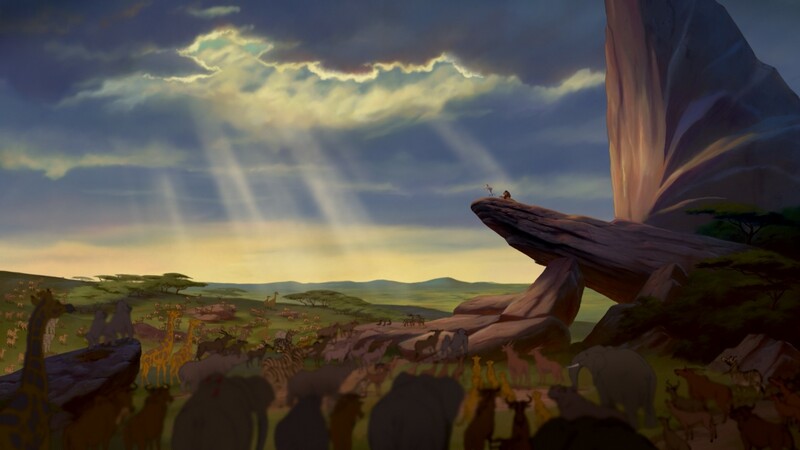 The hyenas used to call this place home, but now only a select few remain loyal to these lands. This is the only place where true harmony between lion and hyena lies. Yet another barren landscape of the savannah but this is the harshest to live in. There is nothing but sand here for miles, although hidden right next door is the Lowlands which would offer a safe haven for the pride. Either or, the lions here make due with the little shade and resources they have, banding them together and making them one of the stronger prides. Plauged by civil war and a bloody past, the Lowlands are yet still a peaceful nation. Many waterfalls and vines sweep the lands and give a spectacular sight to any passerby. A mild temperature, and ease of access to water or caves to make things more suitable, the Lowlands are said to be a paradise to all. A part of every territory -except the Coldlands- slips into this large neutral territory chosen by the Great Kings of the Past. Although mostly sand and dirt cross these lands, food here is fair game and it is a hot spot for the rogues. Religious sites and safe-houses use to scour the area, but the elements have only left a few standing. All Completed, Dead, and Unfinished Threads will be posted here after two weeks of inactivity. If you wish for a Thread to be revived, please contact an Admin. Here you can advertise your forums here on Dark Horizon. Be sure to read the rules that are located inside! Affliates are not being accepted at this time. Named so because this is the Spam section of the Forum. 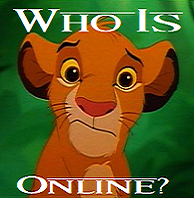 All Spam, OOC Fights, Conversations, and Forum Games are to be placed here and not leak out. If you are caught Advertising here, it earns you an automatic ban!